via coolmaterial. I rarely eat Chinese or Thai food without putting Sriracha on it! 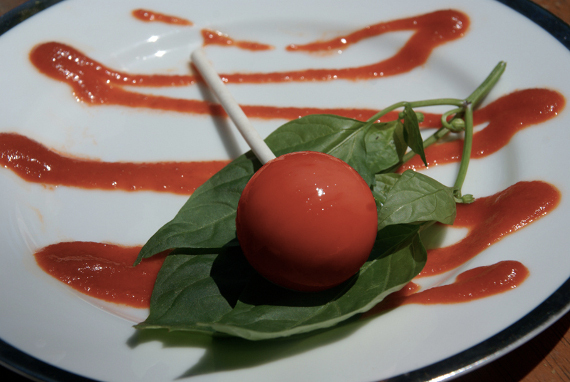 Lollipop maker, Lollyphile, is back with some new and exciting flavors including Sriracha, Chai Tea, Chocolate Bacon, Pomegranate Tangerine, Habenero Tequila, White Russian, Absinthe, and Bourbon. via scalado. So, there goes my career as a professional photobomber… We’ve all been there before; you take a really great photo, but there’s that guy in the background. 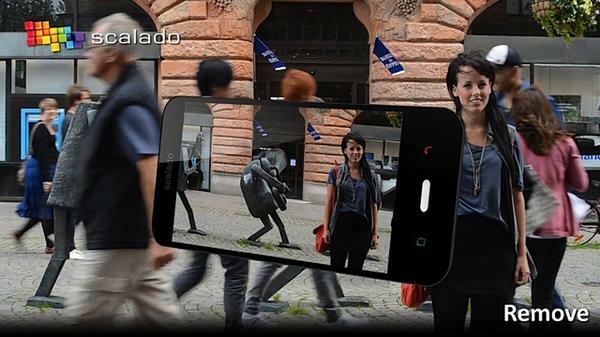 Scalado Remove is a new system designed to remove unwanted objects (or people) from photos, and the technology behind it will be coming to phones from OEM like Sony, Motorola, and HTC. Check out the Scalado’s fancy promotional video after the break. Let’s see how good this works. I’m still a little skeptical. This is amazing! 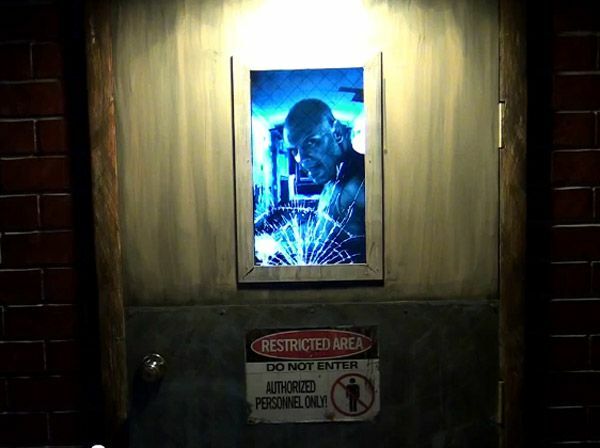 Samsung’s transparent OLED display/window was on display at the recent Consumer Electronics Show in Las Vegas. It’s a smart window (that people on the other side cannot see through) with a full-pane electronic touchscreen display that allows you to check the weather, surf the web, read recipes… it can even turn into virtual blinds! Check out the video below. I’ve always been a fan of the Akai MPC drum machine… I previously owned the MPC-2000xl, the MPC-1000, and the portable MPC-500. With everything moving from analog to digital over the past few years, I kept wondering why there was no VST component for the MPC that could be used in Logic or Pro Tools. The MPC Renaissance is the answer! The MPC Renaissance will be debuted at the NAMM conference this week in California. 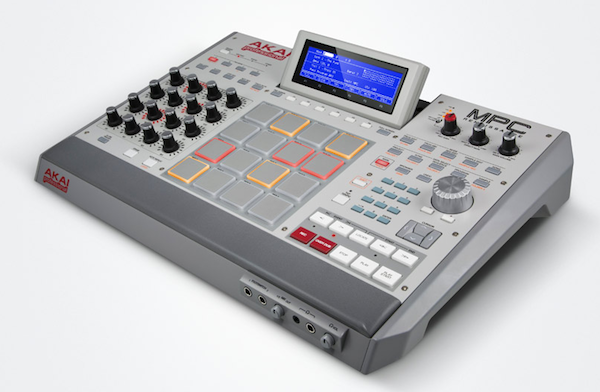 It looks like this new MPC may give Native Instruments’ Maschine a run for its money. Check out photo of the VST plug-in, a promotional video, and some specs below. Fusing Akai Professional’s legendary MPC layout and workflow with the power of your computer, MPC Renaissance is an unrivaled instrument for music production. The new flagship is a fully integrated hardware/software system: MPC Renaissance allows you to create using classic hardware controls and an integrated pop-up display, while it’s exclusive MPC Software empowers you with unprecedented, expandable production capabilities on your Mac or PC. via dvice. More photos below. 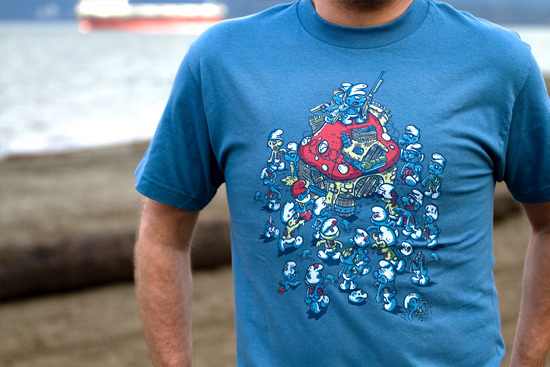 Originally conceptualized in 2009. Russian architects Arch Group have completed the first of their tiny hotel rooms for napping at airports. The Sleepbox unit at Moscow’s Sheremetyevo airport contains two beds and can be rented for between 30 minutes and several hours. Sleepbox, a personal, rentable, portable box with a bed and outlets to juice up your gadgets. It is constructed from ash-veneered MDF, although future units could instead be made from metal or glass-reinforced plastic. It is the perfect private rest stop for any airport, features include up to three beds, sockets for charging up gadgets, luggage storage space under the bed, LED-reading lamps, electric-driven blinds, Wi-Fi, safety deposit box and even a touchscreen TV. Haha… this is great. 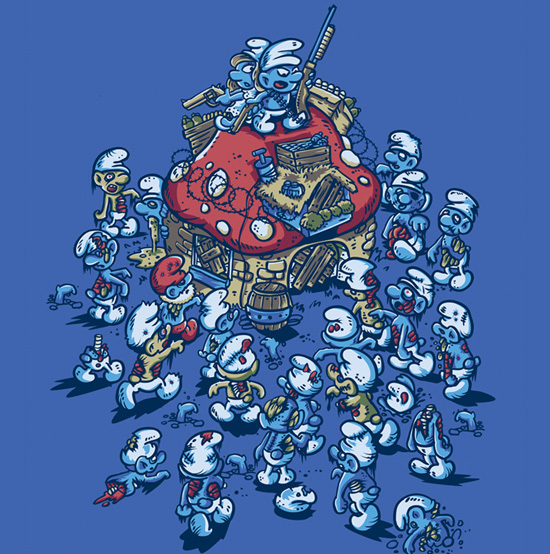 If there were a zombie invasion in the world of Smurfs… it may look a little like this. 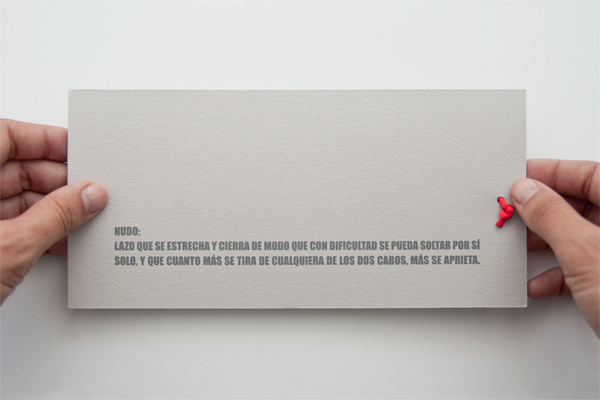 This is a unique wedding invitation by Christina Moralejo that ties a knot into a piece of string when opened. Pretty cool idea. Also, check out the record player invitation I posted a while back. More photos below. 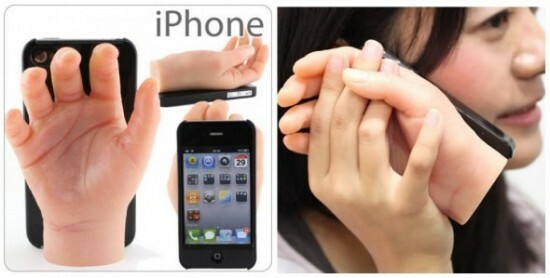 Haha… I thought these were funny. 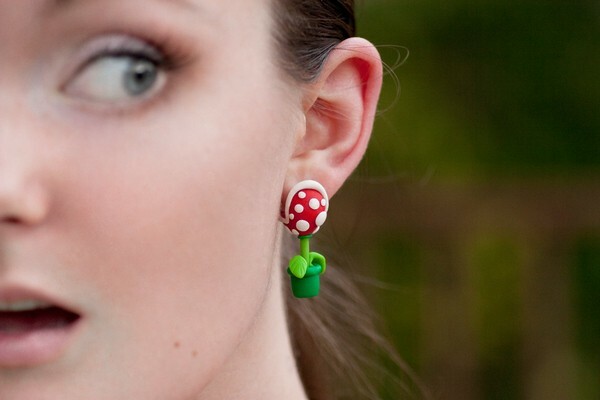 For any of you Super Mario lovers out there, here are some cool new earrings based on the Piranha plants from the game. The earrings are actually sold out right now, but they should be back soon. Check here in a couple weeks. More photos below.